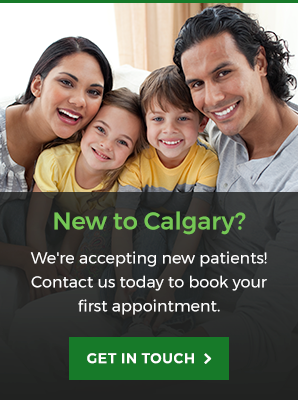 Laser assisted periodontal therapy is available at Go Dental in Calgary for patients who suffer from periodontal (gum) disease. Many adults over the age of 30 have some form of periodontal (gum) disease. Earlier treatments for gum disease were invasive as well as time consuming for both dentist and patient. Laser Assisted Periodontal Therapy (LAPT) makes it possible to repair gum tissue. We use a combination of traditional scaling and root planning to treat infected gums. A periodontal probe measures infected tissue, calculates bone loss and evaluates depth of pockets. Pulsed laser light quickly removes diseased tissue and kills bacteria in the area between teeth and gums. Scaling is used to remove the loosened plaque above and below the gum line. Another application of laser treatment sterilizes the treated area and creates a clot that seals the gum tissue to the tooth root. Interested in laser therapy? Contact us for more information! We're open 7 days a week for your convenience.